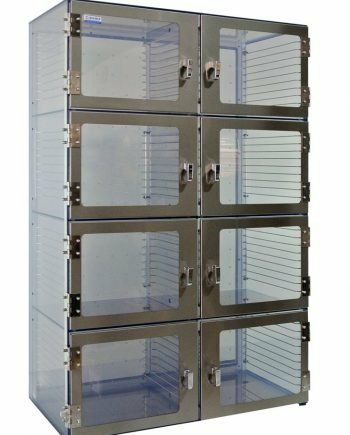 1530 series desiccators are available from two to ten chamber cabinets accommodates up to 5 stainless steel drawer or shelf per chamber, designed for storing humidity-sensitive samples products, and electronics in a clean, dry, electro-static safe and oxygen-free environment. 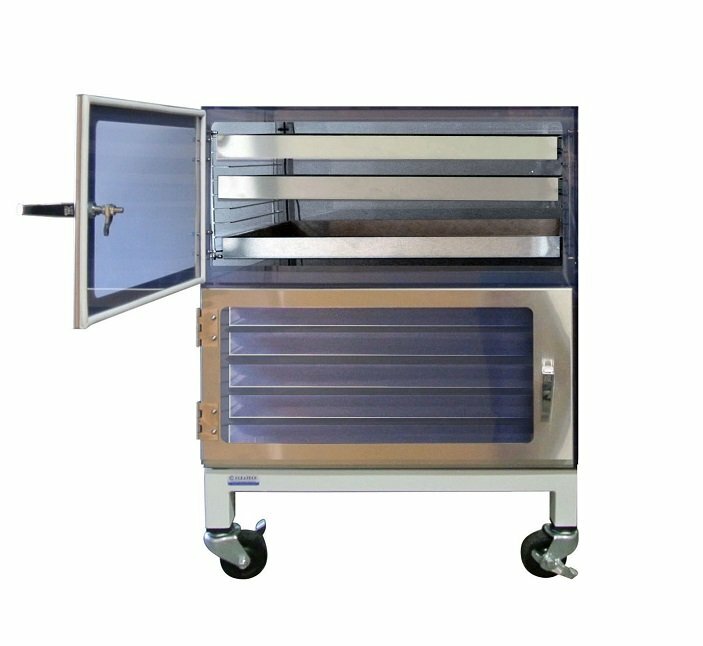 When used in conjunction with a nitrogen purge control unit or any inert gas purging, you can control relative humidity and oxygen level down to 1% and eliminate the oxygen-related degradation of samples. 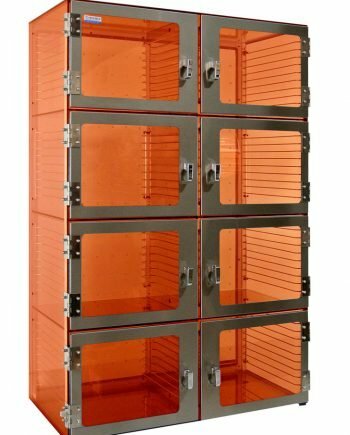 Wire rack for holding shelving and trays. Lift-and-turn latches with Long lever for easy access. 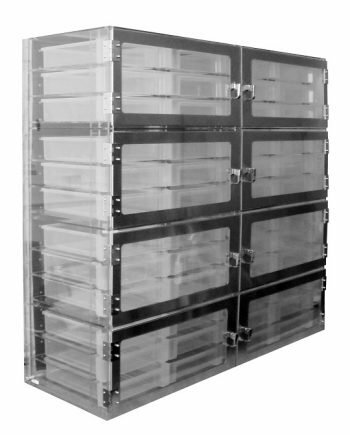 For applications that require isolated chambers, the back plenum needs to be removed.